Here is a small video we made at NJBC. Enjoy. 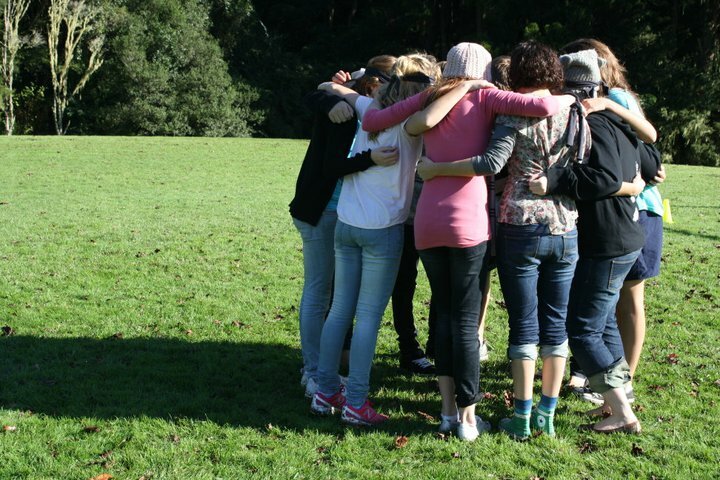 JB Christchurch held an absolutely awesome minicamp back in May! For a start, we had lots more people than usual – about 30, so many that we filled up all the rooms at the campsite and have to move next time. 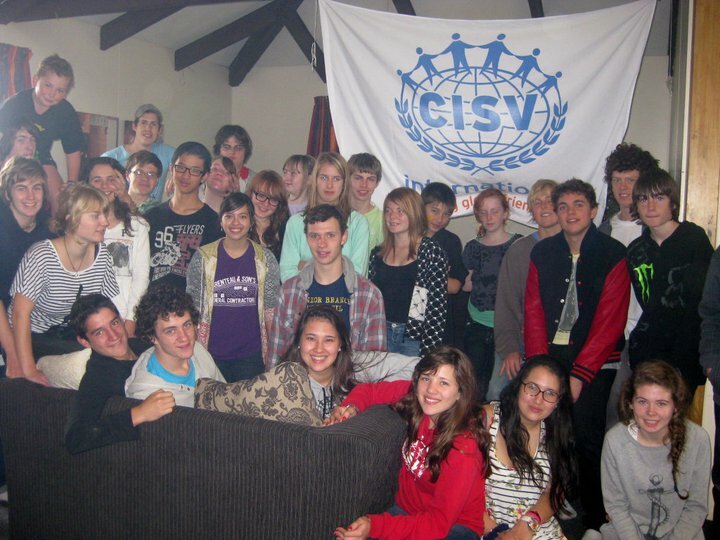 It was really cool to have lots of people new to CISV there. As usual, we started off with some name games, including the new “Cool Story Name Game” made up by JB member Ezra Christensen. We also made placemats on the first night, another tradition. Saturday started off with the “Fish Game”, where we ran around finding fish and also learned about the idea of corrupt policeman. The other game in the morning was an activity with playdough where everyone was blindfolded, paired up and had the opportunity to make something out of playdough with their partner. It was a really interesting activity and cool to see what people had managed to make without conventional communication. After lunch we had the epic cubicle activity! This basically consisted of JBers Alison, Isobel and Ciaran. We won’t give away the secrets of this activity except to say it’s frustrating but fun! After that we had some non stop dodgeball, a yummy dinner and the infamous tape game, however we have still not found the perfect tape for sticking small people to a wall. There were some fun night games, and of course, lullabies to end the day! We were lucky to have several great guitarists to accompany and entertain us during the camp. On Sunday morning we had some more fun games then cleaned up and had a barbecue lunch with families. Sadly, like all good things, minicamp had to come to an end, but we all have some fantastic memories of the weekend and can’t wait for the next one! I am enormously proud of the progress the New Zealand Junior Branch (JB) had made over the last year. Over the past 5 or so years both the Christchurch and Auckland sectors have been going from strength to strength, growing in the size of participants and also the scope of ideas and aims. 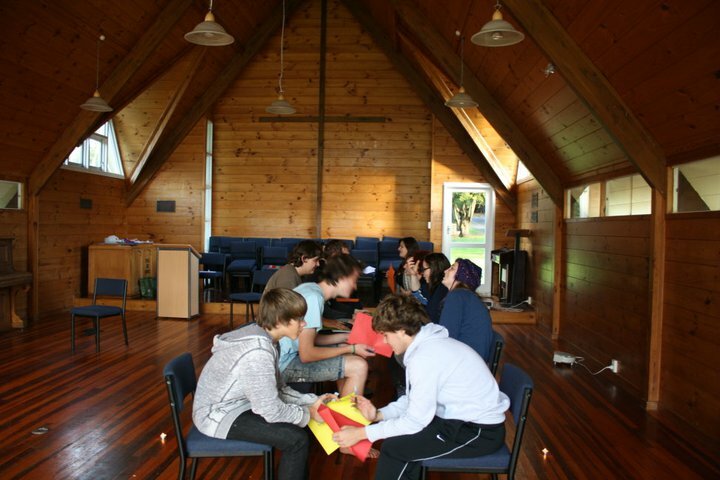 In May 2010 the first National Junior Branch Conference (NJBC) was held in Christchurch, with a fantastic turn out of about 22 participants. The 2 main focuses of the conference were to create and begin implementing a junior branch structure that would allow both of the groups to work collectively. We decided and voted at that time on having 3 NJRs (National Junior Representatives), instead of the usual 2. This would mean that we no longer had 1 Senior and 1 Junior NJR, with a system of the Junior stepping into the Seniors place every July. We now have one Senior, currently Rowan Presland, and two Juniors, being myself (Auckland) and Alison Snellen (Christchurch). This way we have leadership shared through both Junior Branches, and training can be more widely spread. As NJRs we have meetings via skype every 4-6 weeks, and talk about whats going on within JB NZ and our individual chapters. It has been great to see our Junior Branches not only growing as a collective, but also as individual chapters. We have both physically grown in numbers, Christchurch welcoming some International Juniors and Auckland having a bunch of 14 and 15 year olds make the jump from the younger group at Mini Camps to the Junior Branch. Being from Auckland, its been amazing to see our JB thrive with the new energy and ideas that the new members have brought. In terms of participation on an International level, JB NZ has had another eventful year. We sent away three Seminar Participants and five JCs to Camps, as well as four participants to the the ANZAC (Australia and New Zealand Acting Co-operatively) workshop in Melbourne and two participants to the JASPARC (Junior Asia and the Pacific Regional Conference Conference) in Perth. Junior Branch Auckland has had a busy schedule for 2011 with all sorts of meetings and dinners. We begun to have Cultural Dinners last year as an attempt at bringing our JB closer socially and having more active communication. The dinners have been successful in fulfilling those aims, as well as being fun and decreasing our faith in each others cooking skills! All of our Mini Camps in the last year have been truly awesome, with more people running and actively participating in activities. The May 2011 Mini Camp was particularly outstanding, having nearly everyone in the JB assist in planning and running activities. 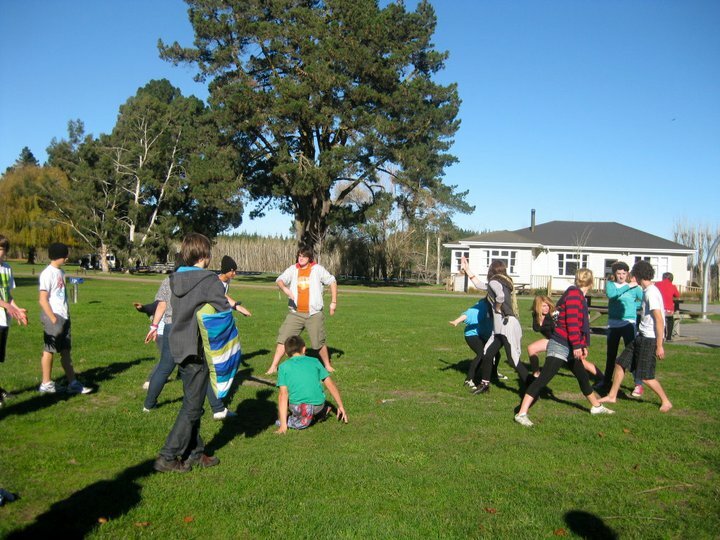 Junior Branch Christchurch has also been busy with holding meetings, elections, Mini Camps and even a sausage sizzle. The sausage sizzle that was held on Saturday the 18th of June raised $1,100, Kapow! The Junior Branch has grown in size as well, through introducing and reintroducing friends into CISV. Cultural Dinners have caught on, and Christchurch hes held a Thai Themed Dinner. They also recently held Junior Branch elections. Congratulations to the new President, Ciaran Cook, the new Vice President, Lauren Spyker, and the new Secretary, Corey Ellis. Scott Franklin has also been recently elected into the spot of the adult coordinator for the Christchurch JB. The February 22nd earthquake got both Junior Branches up and working to help out. The Christchurch Juniors assisted with the clean up, supporting the community when it was most needed. The Auckland Juniors got together five days after the quake to discuss ways to fundraise money for Christchurch. We held a movie night for the whole chapter, and gave the profit made to the Red Cross appeal for Christchurch. It was rather exciting for the Aucklanders to be able to see some of the Christchurchians at that time having Corey, Ezra and Ciaran coming to stay with Auckland JBers as well as Isabel and Isobel travelling up to South Auckland for Polyfest. A few surprise Birthday parties were even thrown to celebrate seeing them, surprising those who the parties were thrown for as they didn’t seem to be aware of their birthdays actually being anywhere near that time! It was amazing to watch the responses of the Aucklanders from the quake, proving just how much the Juniors care about each other. The offer for any of the Christchurch JBers or anyone they know that needs it to come and be hosted by Aucklanders still stands, you’re all very welcome. We are currently in the process of putting up a Junior Branch blog. The aim of this is to have a relatively constant update of photos, pieces of writing and jokes from JB events in both chapters. It means that everyone can feel that they know whats going on, and that they can take part. Anyone can put forward things to put on the blog, which will probably be kept up to date by one of the NJRs each year. The blog can be found on the CISV website, www.cisvnz.org under JB Space. We have a lot to look forward for the next year. Planning has begun for NJBC and ANZAC 2011, which will be held between the 7th and the 12th of December in Auckland. It would be great to have as many of our Juniors to these events as possible. It is important for the constant progression of JB for as many people to get the training as possible, and they are sure to be a really fun event as well. I feel very fortunate to be apart of our Junior Branch. It is full of some amazing young people, and I find myself being more and more inspired and motivated by the ideas that our JBs come up with to make positive change within our local communities. I’m sure that the NZ Junior Branch is going to be a useful tool to use with the upcoming Mosaic, and I look forward to seeing us put some of our big ideas into action. I think that all of our Juniors should feel incredibly proud of everything that has been achieved in the past year, and be inspired to continue doing great things on a larger scale.